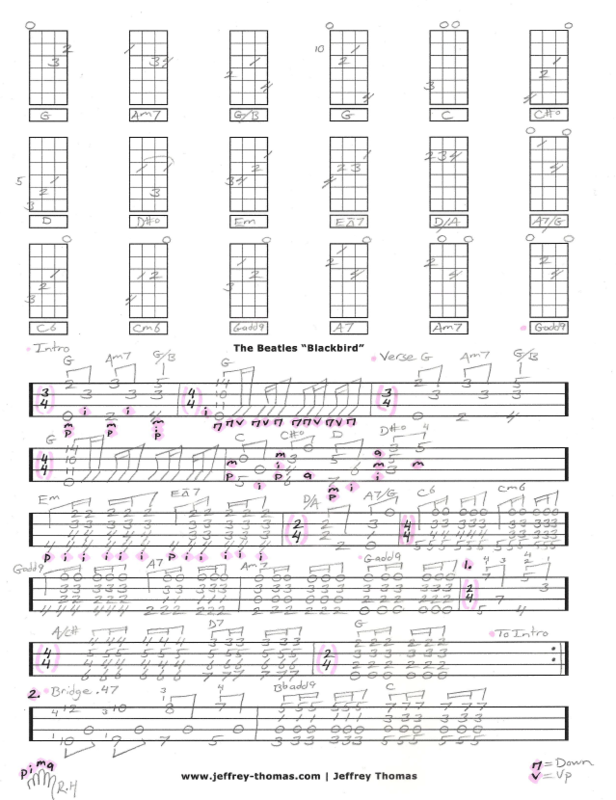 Learn to play “Blackbird” by The Beatles on the ukulele with my free ukulele tab arrangement. I have transposed all the signature guitar licks over to the ukulele to make a very cool and convincing arrangement of the song. You will learn how to combine strumming with fingerpicking and all the proper structure of the song. I have the intro, verses, bridge, time signature changes all noted so you can play it right. Want the full ukulele tab for free? Just send in your email address using the form provided. Looking for online ukulele lessons? Fill out the Schedule A Free Lesson form to set up your free Skype ukulele lesson today. Playing this unique, accurate Blackbird ukulele tab will set you apart from the simplified versions. Find more great online ukulele tabs on my tab, video and blog pages. Schedule your free Skype Ukulele lesson today!